It insisted that the termination was “without prejudice to the settlement of any existing and due financial obligations between the NFF and Mr. Keshi.” NFF 1st Vice President, Barrister Seyi Akinwunmi, speaking on behalf of the entire Executive Committee of NFF, assured Nigerians that the decision was not taken lightly or with any prejudice, but in the ultimate interest of Nigeria football. 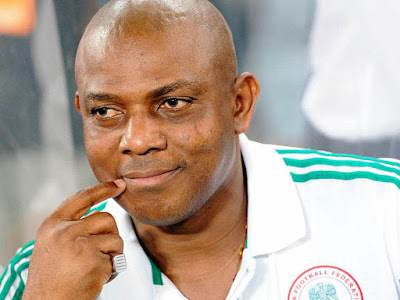 He thanked Mr. Keshi for his services to the country and wished him the very best in his future endeavours. along with the NFF will chart a new direction for the Super Eagles to ensure credible participation in international competitions and assist in building a sustainable football culture for the country,” said Akinwunmi.